Great John Street hotel is part of the Eclectic Hotel Group, the hotel can be found nestled a few steps from the hustle and bustle of central Manchester; the ideal location for shopping and sightseeing. We have actually visited this hotel on several occasions over the years, so we were keen to revisit and see if the hotel had managed to retain its charm and character. We’re pleased to say that it certainly didn’t disappoint. During this visit we experienced one of their Eclectic Grand Suites, split over two floors, with the bedroom and living area on the lower floor and the bathroom on the upper level. The upper level is mezzanine style allowing you to look over and observe the bedroom. On the bathroom level you will find two beautiful roll top baths side-by-side, along with a separate shower and toilet; complete with his and hers wash basins. The bedroom area includes a gorgeous wooden bed, flat screen TV, tea and coffee making facilities, as well as a small sofa and table area for relaxing. 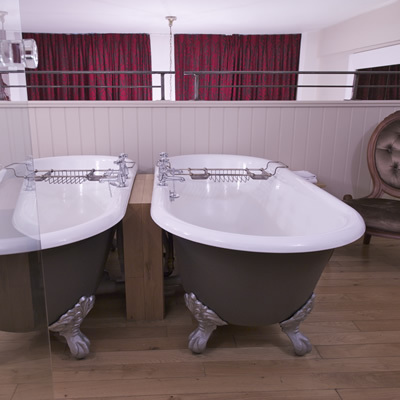 The suite itself is very comfortable, and comes complete with everything you might expect from a boutique hotel. The hotel has a real boutique feel about it, both in our room and around the hotel. The décor pays homage to its former days as a school and in the corridors you’ll find black-and-white photography of classroom photos. 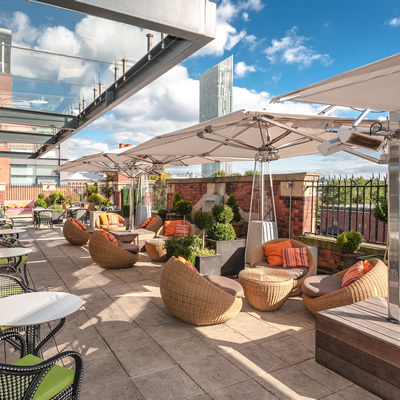 Great John Street Hotel is home to an impressive rooftop bar and offers wonderful views over Manchester. The rooftop was actually the playground in its school days and is now quite the hotspot. It offers a fantastic place to enjoy a cocktail or two in the warmer months of the year; or perhaps a dip in the hot tub. 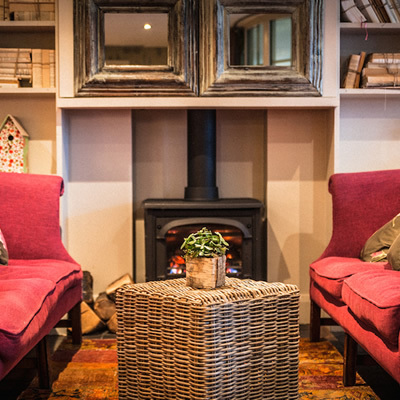 You’ll also find super comfy lounge areas around the hotel, to enjoy a coffee or afternoon tea if you’re looking for something more relaxing. 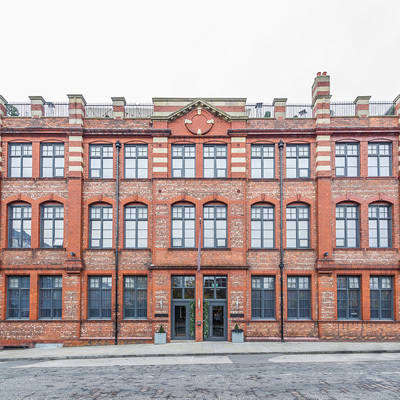 Despite its central location, parking is not an issue at Great John Street as the hotel also offers valet parking, which is actually a rare but welcomed service in Manchester. We were also pleased to note that the staff are very friendly, and are more than happy to assist with restaurant recommendations and reservations should this be required. Once again we enjoyed our stay at Great John Street. It was a thoroughly enjoyable visit and we look forward to returning again.